We cater events, large or small! Anja Lee Catering is able to support your complete event planning needs, including the rental of tables, chairs, linens, glassware, and china. We can also assist with floral arrangements, lighting, and entertainment. Schedule a personalized cooking class of something you've always dreamt about making! Some are health-focused, others are just plain fun! 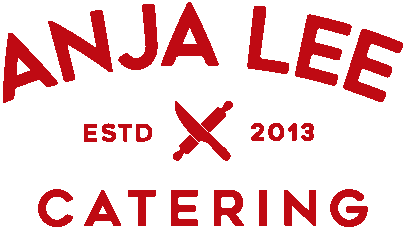 Anja Lee Catering is proud to offer curated menus developed by celebrated Chef Anja Lee.